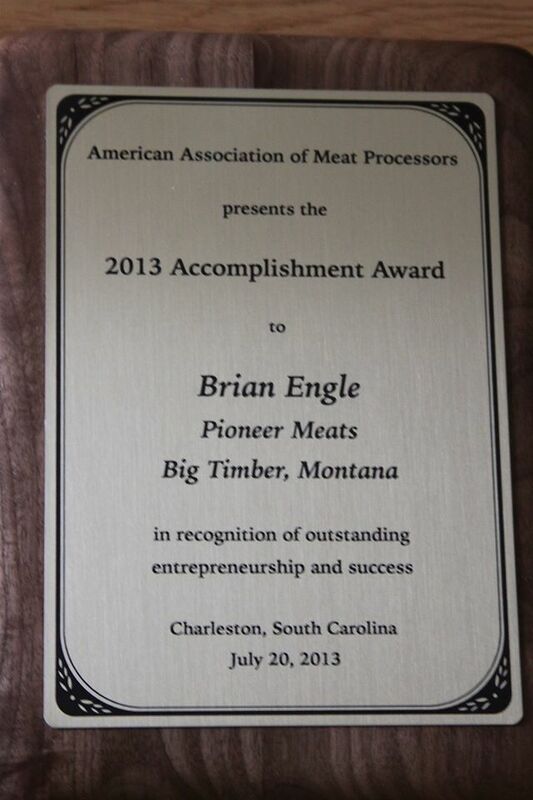 At the national American Association of Meat Processors convention in 2013, Brian Engle was the recipient of the Accomplishment Award. This Accomplishment Award was established to recognize up-and-coming AAMP members who have made strides in the meat industry. The award will honor a person or persons who have, for example, achieved outstanding company growth, successfully developed a new product, invention or service, or launched a noteworthy marketing campaign. He was nominated by his peers for this award. Very proud of him!